Bravefish90 wrote: He looks great! I agree with the others on Iceman, Simple repaint, but great effect. 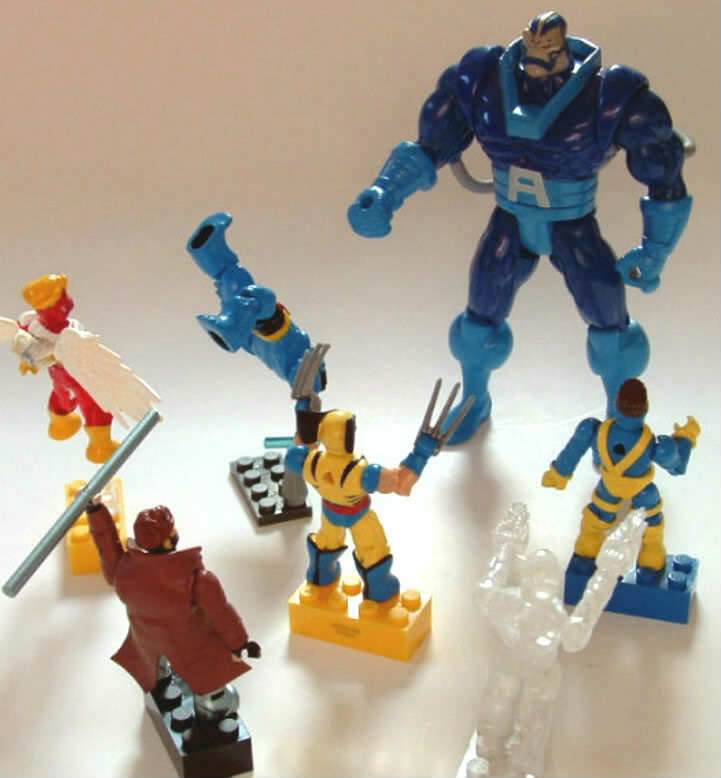 Cyclops is just fantastic, I love all the um. Belts? And the " x's " look really good. Very well done! Thanks. as always for the encouraging comments! The BrotherHood of Dead Rock Lives! Cyclops is the best, I like that Jim Lee era that you did instead of the weird costume we got that mb did, never knew where he used that costume. and nice with supes cape. always excited for more bro. Hell yea! 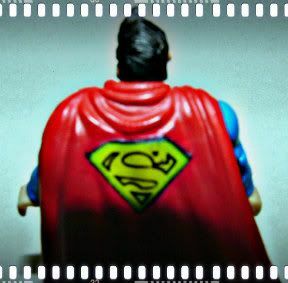 Superman! Can't wait to see your version. Yes these both look sick, awesome that is. Great work PR. Ha! Haah Ha Haa! Why so serious? Mr. J! Are you ok, puddin' ? ...if it weren't for this blasted coin, I would have got him! The Greatest Criminal Mind of Our Time! You still try to fight. Can't you see that it is hopeless? Oooh! Teasers for new figures, I presume? My interest is certainly piqued. Uh oh... hope you don't hit any of the dc chars I've been thinking about doing thanks to my game addiction. 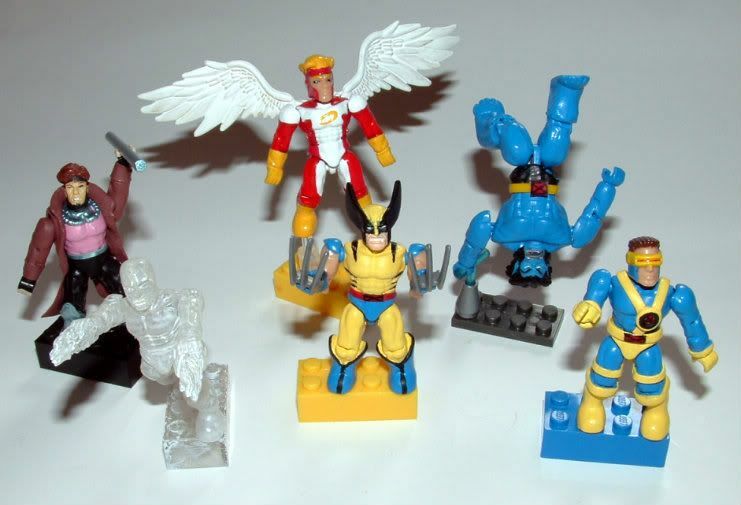 Some great looking X-Men! To make a suggestion when doing tiny black line work... extra fine g2 gel pens (.37 mm I think). I used that for the phoenix wing lines on my Cyclops. blogness wrote: Oooh! Teasers for new figures, I presume? My interest is certainly piqued. Yep, more than just preview teasers, should be able to pull each one off barring any unforeseen circumstances. Myn Dwun wrote: Uh oh... hope you don't hit any of the dc chars I've been thinking about doing thanks to my game addiction. Gotta do 'em! Some are obligatory. Stay tuned! Thanks for the tip, I'll try a pen. apocalypse fits just right in. 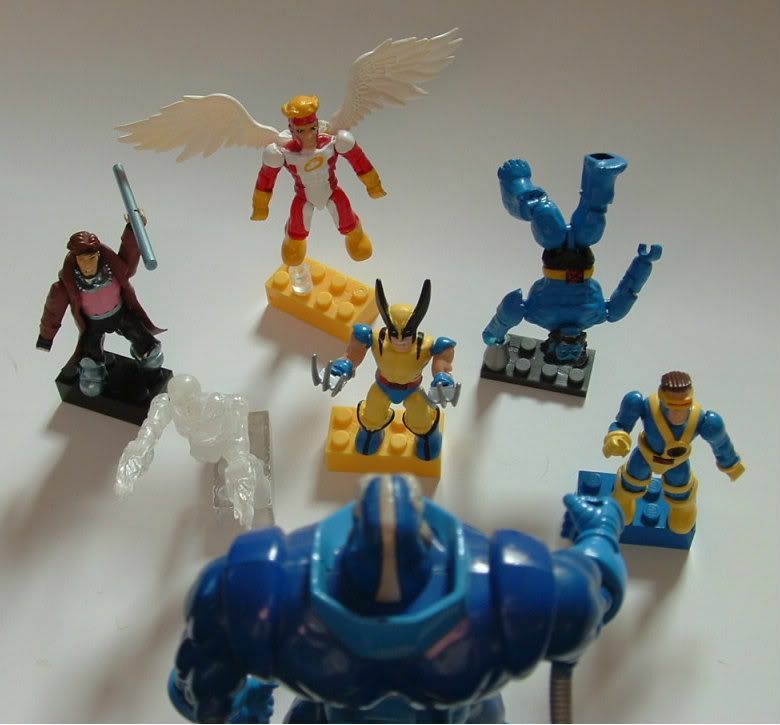 I don't Rightly know who Apocalypse is, but He does fit in really well with these guys! Love the pics, bro! Keep these awesome customs coming! Love that group shot. Great work brother. Thanks guys, I aim to please!